We have many ways for you experience and/or learn more about native Celtic Practices & Ceremonies, native Irish shamanism and global shamanism. For example: you are welcome with your family (suitable for all age groups)to our free community celtic ceremonies throughout the year or join our summer solstice sacred sites of Ireland day on June 18 or take our introduction to Shamanism or join our professional shamanic practitioner's medicine wheel and there is also our monthly drumming circle. 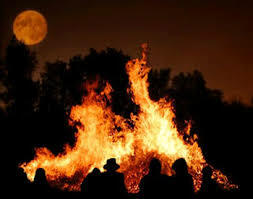 There is also the Full Moon Fire held every month on Tara Hill. See below for details and if you have further questions contact Majella 0868635241 and we'd be happy to guide you along this wonderful pathway. Ireland offers a very powerful landscape, and we are privileged to be close to many of Ireland's major sacred sites, including Tara, Lough Crew, Newgrange, Dowth, river boyne where we hold sacred and reverent ceremony. Have you began to wonder what exactly is shamanism? What do you actually do? How is it practiced? Do you have an interest or burning need to know more? On this weekend we will be teaching the basis of shamanism, this is a complete beginners course where you will learn about shamanism, you will actually learn and practice the foundation techniques of all shamanism. All over the world the ancient indigenous people practiced medicine and well being through connection and understanding of all the worlds in harmony and balance. All over the world the different people's were using very similar techniques and even today indigenous shamans have regular world gatherings to share and honor each other's wisdom medicine techniques. This course is intended for those who wish to experience and use Shamanism for personal use to enhance your life, to gain more direction, to help you find guidance and especially to connect deeper with yourself. You will learn to connect with the land and sacred sites in the our sacred boyne valley right in the heart of indigenous Ireland. You will learn to develop your intuition, learn protection techniques and gain personal healing to enable you to live a happier and more informed life . 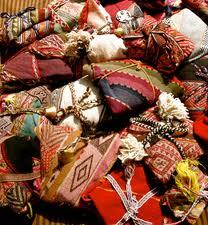 You will learn to work with shamanic tools such as rattles, medicine bundles and tools. A Foundation in Shamanism Certificate will be issued at the end of the two days. You will learn to protect and seal your energies and to ‘walk with beauty upon mother earth’. The shamanic experience will bring joy and freedom to your life as you walk the path of the heart. Following this workshop you will be welcome to join our drumming circles and Celtic ceremonies throughout the year. Booking a place: Please email Majella to hold a place, then fill out the booking form and either return via email or by post. Non refundable deposit is €95.00, thank you . Accommodation: We are very close to Dublin, Mullingar, Dundalk and travel is 20mins from Blanchardstown. 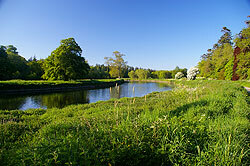 We suggest St. thomas B&B in Navan 0866054128 Elaine Russell. 1) Post: You may post payments to our office as follows: Majella. Fagan, Green Tara, Preston Place, 38 Trimgate Street, Navan, Co. Meath. This a complete training in shamanism which will enable anybody who chooses to work as a shamanic practitioner and gain professional insurance to practice and/or for those who wish to learn shamanism for personal use also. If you are unsure if you would like to take the complete training then we suggest this first weekend in January as a great foundation in shamanic techniques and a great taster for further training where you can decide to do more after the course. Please scroll down to see the information on celtic & andean shamanism. We are delighted to be offering this deep authentic powerful and incredibly beautiful soul traditions. We offer the teachings of the Q'ero Indians of Peru which we have incorporated with our own Celtic traditions. 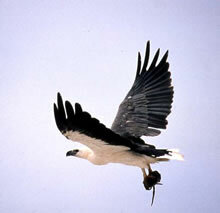 We also incorporate elements of many other shamanic traditions as taught to us such as core shamanism, aboriginal, etc. The Q'ero are the direct descendants of the shamanic healers and teachers of the Inca Empire. When the Inca Empire was conquered by the Spanish, they retreated into the High Andes, hiding for 400 years in a network of villages above 14,000 feet. It is only since the 1970’s that they have established contact with the rest of us. Since then they have been bringing their original teachings, untainted by the modern world, to us. The high point of a civilization based upon shamanic principles, Q'ero teachings being a deep and ancient wisdom to our modern problems. We have been privileged to study directly with some of the Q'ero elders, receiving key initiations which produce powerful energy shifts and awaken new forms of awareness and power. We have been granted permission by the Q'ero to pass on these teachings and initiations. It is our privilege to now offer these to you. Through teachings founded on the teachings of the ancient Inka Q'ero Shamans, through initiations and rites of passage, through individual and group healing, through connection with the ancient sacred sites of Ireland and Peru, through a marrying of the Celtic and Q'ero traditions and through sacred ceremony we will walk a medicine wheel of deep healing and transformation. You will become more connected to our sacred Celtic ancestry, to the Q'ero tradition, to your own spiritual shamanic ancestry and to the power of the land. If you let it, this work can transform your life and eventually allow you to know and/ or even change your own destiny. If you have trained in Core Shamanism or taken other workshops you are more than welcome along. This course will be a move forward into deeper shamanic work and bring you many extra skills and initiations enhancing the skills you already have. Our aim is for each person to identify and develop their own way of working, to find this energy healer, practitioner within themselves and to grow their abilities to their highest levels. You will find through the initiations and rites of passage that you will come away with an extremely nurturing, gentle but powerful tools at your disposal. 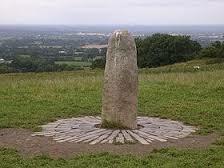 Through the initiations to the ancient Quero lineage, through the initiations and connections to the sacred power places surrounding us (Tara, Loughcrew etc.) that you will have many allies and wisdom in your work. Originally of Welsh origin Owen eventually grew up in New Zealand and Australia. While in Australia he studied Tarot, Hermeticism, Kabbalah, Jungian Psychoanalysis, Mythology and Shamanism. He also studied psychic healing at the London College of Psychic Studies. Having studied Tarot for over 30 years, Owen developed and teaches our highly successful Diploma in Professional Tarot Reading. Owen is a graduate of the Four Winds Shamanic Institute with certificates in Healing the Light Body and Soul Retrieval. He studied Despacho work under the Peruvian "Paco" (or shaman) Don Sebastian for 5 years and received from him the 3 "Lightning Initiations" which qualify him as a Paqo (Qechuan Shaman). Owen's work has been to fuse traditional shamanism with the western traditions of Kabbalah and Hermeticism. Personal witness - Majella Fagan - "I had studied many therapies and been in personal healing for many years. Having taken the core shamanic training twice and working with it for many years I was thirsting for something more in depth and felt I needed to know more. I didn't’t feel the working techniques were adequate enough for the growing needs of the work. When I took the six years of shamanic training with initiations from the Quero and the training in further shamanic techniques with Alberto Villoldo and The Four Winds, I found what I had been looking for. This is the most phenomenal work I have ever done and it brought to me deep, deep healing where at a crucial time in my life I finally cleared the heaviness of past issues and moved forward into a life of peace and higher destiny, here I learned to ‘dream my world into being.’ I can only say from my heart that I urge you if it feels right or you feel drawn to it to take this training. Alongside teaching Holistic Therapies, my main work is with Reiki and shamanism. I started with traditional Reiki and have found that the combination of the two traditions is a wealth of amazement and have found that the shamanic work brought me into deeper techniques and much more grounding. There is a wealth of joy, freedom and humility in walking this path which helps give us grace to aim to be a better person. In times of crisis it is my spiritual training and practice that has kept me together. Please feel free to give me a call or if you’d like to meet up and chat about it I’d be delighted." Energy Management: In addition to the specific medicine wheel weekends, you are required to attend the Energy Management course as part of the training. First Aid: If you are planning to use this course to work as a practitioner we advise that you take a recognized first aid course (Red Cross, Order of Malta). Fees: - €1495.00 for over 100 hours of personal training. We are delighted to be able to offer the fee at this time at €250.00 per weekend untill the course is paid and must be paid either coming up to the training or on the first morning of registration on each weekend. You can also pay the full course fees up front. Location:- The location for the training is in the heart of the Boyne valley (Navan) and we will be surrounded by Tara, Loughcrew, Newgrange, Fore, Uisneach, the River Boyne alongside many, many more sacred sites in the Meath Valley. We will walk the land, do ceremony and receive some initiations in these sacred places. Time: Saturdays (9.45am – 9pm) and finish by 6pm at the latest on Sunday. 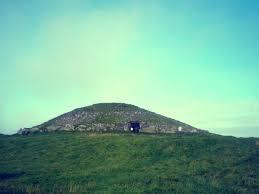 Sacred Sites: Depending on the course topic we will be visiting sacred sites at Tara and Lough Crew, River Boyne and others. Clothing: comfortable loose clothing with indoor shoes and outdoor shoes. As we will be going out to the sites bring outdoor gear, hill walking boots, trainers, wellies, warm clothing, wet gear, wind protectors, bags or cushion to sit on each weekend. Equipment: You will need a pendulum, 3 stones/rock (not too big), cloth or bag to put the stones in, journal, pens, sleeping bag/blanket, anything else you need for personal comfort. 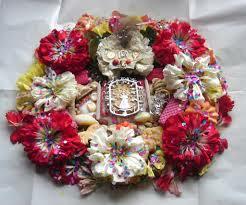 If you have rattles or drums, sage, bring them along and any other sacred objects (if not we will have some provided). Further Training: With this work there will be the opportunity of doing a second year and third year of advanced training or take further specialised training in workshop modules or just separate workshops as they come up. I did the shamanic training with Owen and Majella and looking back it was the most life changing decision I ever made. During the training we learned to heal ourselves and to overcome obstacles which in most cases we had put onto our own path. I feel still like myself – but a stronger much more optimistic version of myself. My cup used to be half empty all the time and now it is half full. I have an inner peace now which I was lacking before and I’m able to live more in the moment. To be able to do the work and to do healing is such a rewarding beautiful work which needs people practising it with a good training and skill in order to bring about more acceptance from the society. I’m very thankful for being able to do this work. Another aspect of the shamanic work which I absolutely love it the ceremonial work and I feel so blessed to have been chosen to hold 2 Handfasting ceremonies and next weekend to be able to do a baby blessing. When you hold ceremony, you not only create a special moment for the people involved, but in a lot of cases something inside them is touched and a connection with spirit is strengthened. I would recommend this course to anybody who is looking to find a deeper connection with himself, to do healing on a stronger level, to understand energy work on a much deeper level and to find answers to these questions and longings inside that some of us have. I recently completed the Shamanic Wheel at the Green Tara College. Majella, Owen and Christina are excellent teachers who convey a great depth of wisdom in the way they've structured and presented this Course. We gained experience in the many varied aspects of ancient Shamanism: visiting ancient sacred sites; learning how to practice Shamanic healing techniques and participating in beautiful Ceremonies that honour Nature, Mother Earth and the changing Seasons - to mention only a few aspects of the training. I have gained greatly in self knowledge, joy and confidence from this course. The Shamanic healing techniques are now helping me greatly in my own work with clients. And finally I'd like to say how enjoyable this course was, with lots of laughter and deep bonding friendships that I greatly value.